Much loved kiwi troubadour Monty Bevins hits the road this May and June to celebrate the release of his new single Lovers Again. 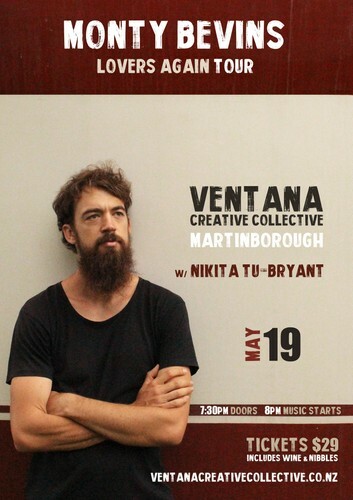 The song features a beautiful violin piece weaving throughout, and for this show at Ventana Monty will be joined by that violinist Nikita Tu-Bryant, who'll also perform an opening set to kick the evening off. Doors 7:30pm. Music from 8pm. May 19 with Nikita Tu-Bryant.